Website design for large retail chain in India. 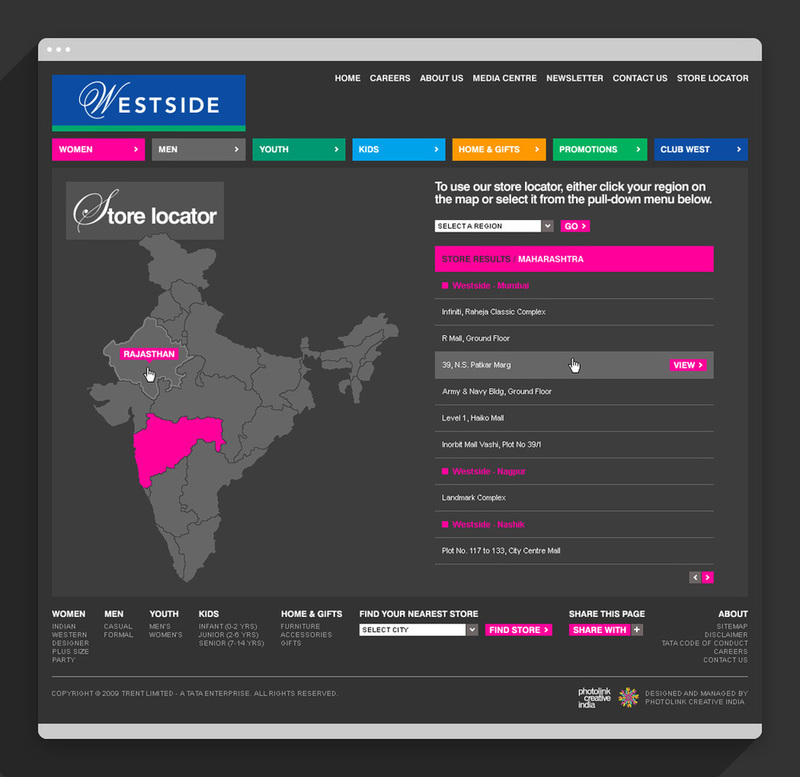 I designed this website for a large and growing retail chain, that currently boasts 42 stores across India. Quite an honour, when you consider the size of the audience. The above depicts a typical customer journey from product category page, through to product details and store location.